“Nay, I’ll have a starling shall be taught to speak nothing but Mortimer, and give it to him to keep his anger still in motion,” says a character in Shakespeare’s Henry IV, Part 1. Because of that single mention, the European starling (Sturnus vulgaris) has become one of the most common birds in North America. In the latter part of the 19th century, Eugene Schieffelin of the American Acclimatization Society, in an effort to bring all the birds in Shakespeare’s plays to the United States, released some 100 starlings in New York City’s Central Park. Their first breeding is said to have taken place in the eaves of the American Museum of Natural History. Today, as many as 200 million starlings range between Canada and Mexico. Though the starling has plenty of detractors, including the USDA, this species deserves appreciation for its resourcefulness and beauty. The starling’s ability to mimic different bird species and other sounds has earned it a place in literature and music. 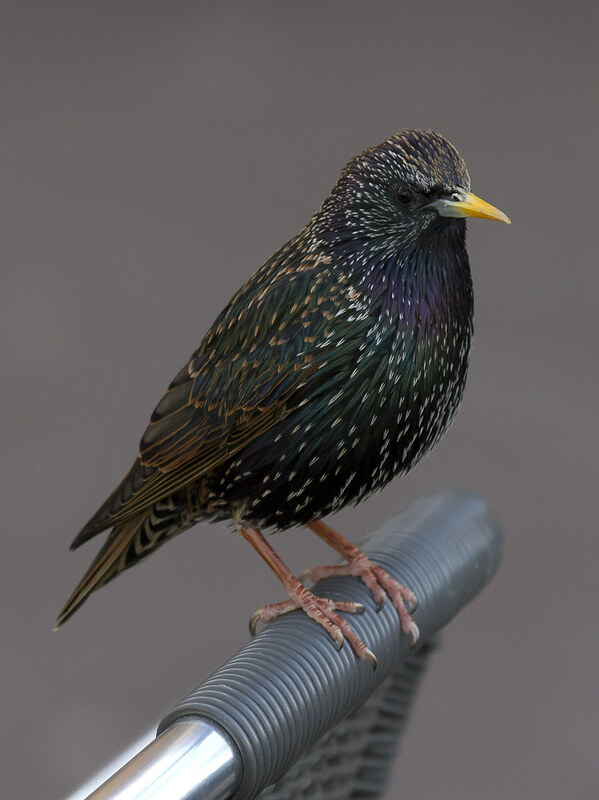 In Shakespeare’s play, a starling was to be taught to say the name of the king's enemy as a provocation. Mozart had a pet starling that learned to mimic fragments of his compositions. He was so enamored of the bird that he wrote a poem in its memory. In modern times, starlings are more likely to copy the sound of a car alarm. Every time I see a “ball” of birds flying in a large circle, I wonder if it's a flock of starlings being pursued by an accipiter like a Cooper’s or sharp-shinned hawk, a common scenario. 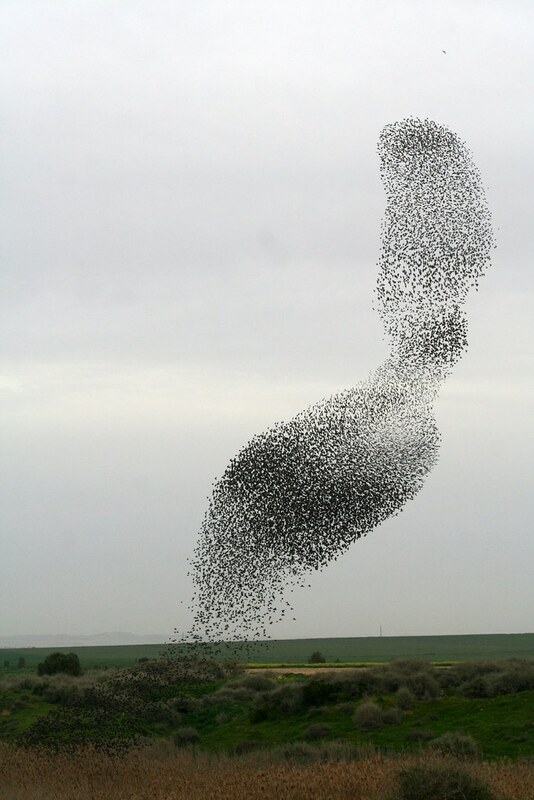 Starlings are able to fly in huge formations, called murmurations, which can look like a river flowing through the sky. 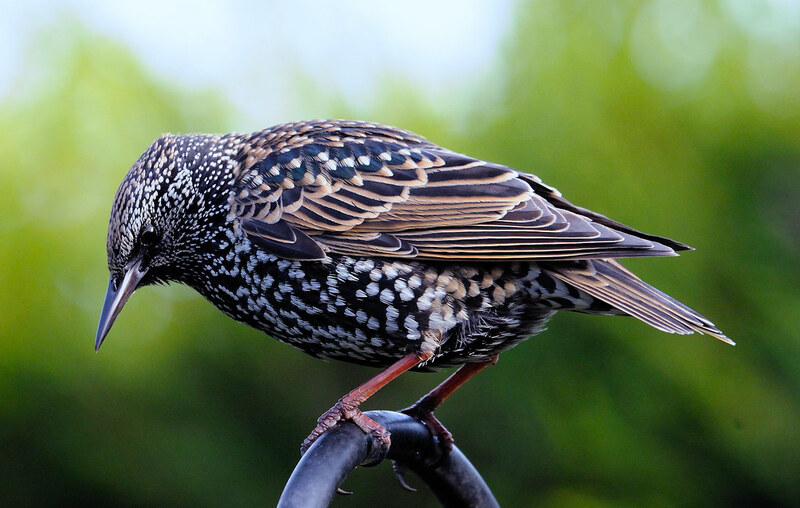 This is said to be possible because the starling has excellent vision and the ability to swivel its eyes, allowing it to perceive nearby companions and avoid flight accidents. Finding food is another area in which starlings excel. They normally feed on berries and grains, but they are also able to probe below the soil's surface for food. The bird inserts its bill in the ground, then opens it to force apart the soil as it searches for grubs and other invertebrates. Look for signs of this activity—patches of ground covered with small holes. As most all birds do, starlings molt in late summer to early fall. As spring approaches, their dark, winter plumage spotted with white dots wears away to reveal beautiful iridescent feathers. These feathers were there all the time but just had to be uncovered. After a long, cold, and snowy winter, as we all look for signs of spring, the starling provides us with a subtle one. The bird's bill, black from fall through winter, turns yellow when spring is close at hand. When we see that, we can all be happy that warmer weather is soon to come. Where can I see a murmuration in Brooklyn? Murmurations, mentioned in this piece, is my new favorite word. Sturnus vulgaris in April. Photo by Pierre Selim. A starling (Sturnus vulgaris) in November. Photo by Snowmanradio. A flock of starlings forms a murmuration as they try to escape a falcon. Photo by Oronbb.